The web series is the millennial equivalent of the street play. We get to see and hear things that other mediums of creative expression do not allow. Salman Khan recently said he was shocked at what he saw in the average web series. While his â€˜shock' was targeted at the sexual explicitness, there is more to the web than sexual intimacy. What about the lower levels of our society getting violated, plundered and ravaged by a system of governance that favours only the favoured? I am happy to say the second season of "Laakhon Mein Ek", conceived by stand-up comedian Biswa Kalyan Rath, is every bit as hard-hitting, authentic, uncompromising and effective as the first season where a reluctant IIT student grappled with parental expectations and an outrageous syllabus. Season 1 was funnier, more goofy. There is nothing to laugh about in Season 2, as a young tirelessly idealistic Dr Shreya Pathare (played with marvellous annihilation of self and ego by Shweta Tripathi) heads to a godforsaken back-of-the-beyond town to provide healthcare. Who cares about healthcare in this country? Thousand die in villages in the absence of proper medical facilities. I recently encountered incidents shown in the series and they all convey a resonant ring of authenticity that we ignore at our own peril. What makes "Laakhon Mein Ek Season 2" more than just a fictionalised documentation of the perils, pitfalls and corruption of the rural healthcare is the healthy attitude of writers (Abhishek Sengupta, Biswa Kalyan Rath and Hussain Haidry) towards the vast content resources at their disposal. While the series opens up a Pandora's box of corruption at the grasroot level to show how abysmally short of medical facilities the rural sector have, it maintains a calm equanimous tone of narration, never giving into a shrill and righteous indignation. The authenticity in presentation gets as overpowering as the corruption that the series so vividly describes. But director Abhishek Sengupta doesn't fight shy of forsaking the â€˜glamour' that has swept into the high-profile web series to show us a mirror on a section of our society that remains shockingly ignored and neglected. The actors are all so credible that I wondered if some of them are really actors or just locals asked to project on camera their resigned attitude to neglect and impoverishment as a punishment for crimes committed in a past life. 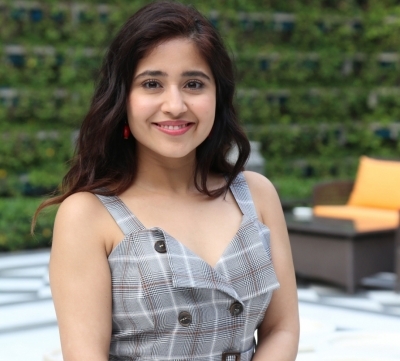 As for Shweta Tripathi, she blends so fluidly into the fabric of anonymity. It is like watching someone you know closely walk by with grace as her dignity, credibility and identity are questioned. In one sequence, Shweta has to enter a small dingy toilet in her new squalid home in a town that has seen no development. Her look of despair and revulsion as she resigns to her fate in that place of singular squalor tells us all there is to say about those who choose to devote their lives to the thankless job of bettering the lives at the grassroot level. Laakhon mein ek, indeed.